Sept. 7 marked the start of the Overwatch World Cup Los Angeles Stage, which spanned throughout the weekend. 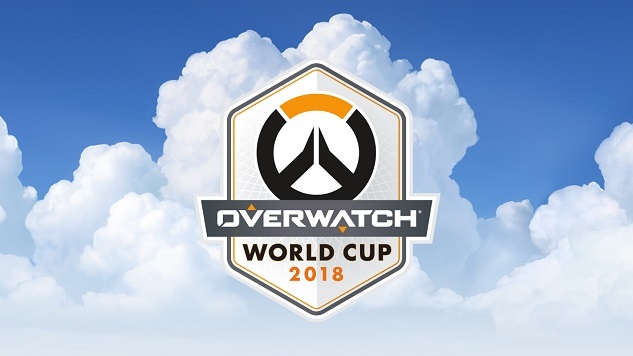 If you’re not too involved with the competitive Overwatch scene, the Overwatch World Cup is a tournament in which the best players of certain countries play against each other. It differs from the Overwatch League in that it’s on a much broader scale; the Overwatch League currently has 12 teams while the World Cup has 24 teams. While the players participating in the World Cup are all highly ranked (as they’re determined by their average skill rating), they might not necessarily be professional players; on the other hand, every player in the League is a professional player who is part of a sponsored team. At the end of the World Cup Group Stages, the final eight teams will head to BlizzCon to play against each other for the title of the 2018 Overwatch World Cup Champion. The 2018 World Cup has been happening for a while now, but the Los Angeles Group Stage is one that many fans around the world have been looking forward to. All three days were action-packed and long, with teams having little rest in between their intense matches. Curious about how the Los Angeles Group Stage turned out? We’ve got a recap to keep you up to date with the Overwatch World Cup. Canada, known for being the 2017 World Cup Runner Up, dominated Austria to the surprise of few. There was little contest between the two teams, as Canada took control of the first two control points in Nepal, held an incredibly strong defensive hold on King’s Row and Volskaya Industries, and pushed the payload to victory in Rialto. One of the standout players of the match was Liam “Mangachu” Campbell, who played some of the most unpopular heroes in competitive Overwatch: Doomfist, Torbjorn and Hammond. He excelled at all of them, even getting on fire as Torbjorn, and stated that having fun while competing is one of his priorities. Norway put a nearly full stop to Switzerland—at times quite literally, such as when Norway’s Kha “iPN” Nguyen was playing as Ana on Gibraltar and sleep-darted a nanoboosted ulting Genji, played by Switzerland’s Sandro “Shinoda” Zahner. Norway also simply had a fantastic set of damage dealers: Stefan “ONIGOD” Fiskerstrand has impeccable aim as Widowmaker, and Usman “TracK” Mohammad shined as Hanzo on Gibraltar and King’s Row. Canada absolutely dominated over Brazil thanks to the team’s superb coordination. Brazil certainly did its best to put up a fight, such as when most of the team somehow managed to survive a series of ultimates from Canada on King’s Row. However, as the match progressed into the third and fourth maps, it seems like Brazil wasn’t able to keep up the momentum, and in the end was unable to win a single map. USA crushed Austria, and showed that the team can do so while having fun. On the third map, Volskaya Industries, USA had a Symmetra and Bastion on its lineup, and the team members performed well and playfully. The interesting thing to note is that on the same map, Ana was the one healer that both teams had. Considering that seeing an Ana in the Overwatch League became rare after the early stages, it was refreshing to see her on both sides. Norway led the charge with winning the first two maps, but Brazil performed a stunning reverse sweep that subverted the hopes of Norway fans. Eduardo “dudu” Macedo on Brigitte and Felipe “liko” Lebrao on Genji are largely why Brazil was able to get a second shot—and the entire team certainly delivered in the end. In one of the most exciting matches of the group stage, and the only other match that extended into a fifth map, Austria and Switzerland faced off on similar footing. Both teams showed their potential to thrive under pressure right up until the last moments on Nepal, with both teams having captured one control point and battling it out for the second. It was ultimately Austria that won thanks to their impressive communication and teamwork. Spanning across Nepal, King’s Row, Temple of Anubis and Junkertown, this match wasn’t a very long one. The game on Anubis summarized it best: USA defended first and held a FULL hold on the first point, needing to fill a meager tick on the capture point meter to win the match. USA did it, taking only approximately a minute and a half to do so. Canada was the runner-up in the 2017 Overwatch World Cup for a reason. Norway didn’t have much of a chance against Canada’s highly coordinated plays, many of which depended on Lance “Surefour” Robert’s outstanding Sombra hacks collapsing Norway’s heavy tank compositions. The highlight of this match was clearly Hanamura because at one point, both teams had a Symmetra in their lineup. Bless the Overwatch World Cup for letting her have some justice and time to shine. To hold the second point, USA used the underrated and completely fair combination of Symmetra and Bastion—which led to one of the most memorable moments in the World Cup. While Austria was able to capture the third map of this match, letting Austria fans hope for a reverse sweep, Brazil ultimately came out on top. Brazil tank extraordinaire Mateus “neil” Kröber deserves a shout out for his consistently impressive plays as Reinhardt. Norway was extremely aggressive from the first moments of the match in Lijiang Tower. The team was so aggressive that, while they were 80% through capturing the second control point of the map, they had amassed 40 eliminations compared to Austria’s four. Austria’s final fight was admirable, though, and one of the team’s players, Michael “MrDragonlol” Jörg, deserves credit for demonstrating his versatility through playing 13 heroes during the group stage. A very easy clean sweep for one of the top two teams of the group stage. The match highlight was William “Crimzo” Hernandez using Torbjorn on Horizon Lunar Colony in a team composition of three damage dealers, two tanks, and a lone Ana as a healer. It was a ridiculous composition that shouldn’t have worked, but because it’s Canada, it totally did. Also, to many Ana mains’ joy, this is probably the match that assured her return in the meta the most. Unfortunately for Norway, this match was absolutely one-sided. It was so one-sided that, across four maps, Norway was only able to capture three points in total—one in Eichenwalde and two Junkertown. The team did its best, but it was no match against United States’ ridiculously dominant play, which earned them eight points. Brazil proved itself as a worthy team in the Overwatch World Cup with this match. Philadelphia Fusion (Overwatch League Finalists) support main Alberto “NeptunO” González endorsed Brazil’s play earlier during the day, saying it was the only team that decently played Overwatch. While we believe all teams did great, it’s no understatement to say that Brazil performed admirably. If you were tired from following all the games, Maurício “honorato” Honorato’s D.Va bombs in Rialto were excellent enough to get you excited all over again. Ah, the match everyone was waiting for. Canada and United States were the top two teams in the group stage, respectively. The match’s first map was Oasis, and it became the first map Canada had lost during the entire group stage, showing how formidably matched it was against USA. It’s always a treat to see Austin “Muma” Wilmot on Winston, but his play was utterly awe-inducing on Rialto, for he was the one who pushed his team to victory and kept Canada away from the payload in the final stretch. While Canada won the third map, the team wasn’t able to make a reverse sweep, and United States rose as the winner of the Los Angeles Group Stage. Even though the United States team is the champion of the Los Angeles Group Stage, Canada performed well enough to advance to BlizzCon alongside United States. Currently, the teams heading to BlizzCon are: South Korea, Finland, United States and Canada. On Sept. 14, the Overwatch World Cup Bangkok Group Stage will begin, taking place in Thailand to determine which team will join the rest to compete for the grand prize of the World Cup Championship title. Natalie Flores is a Paste intern who specializes in videogames. She’s on Twitter @heartimecia.